Call 413-585-2490 from a cell phone or from off campus. Call 413-585-2495, Monday–Friday, 8:30 a.m.–4 p.m. 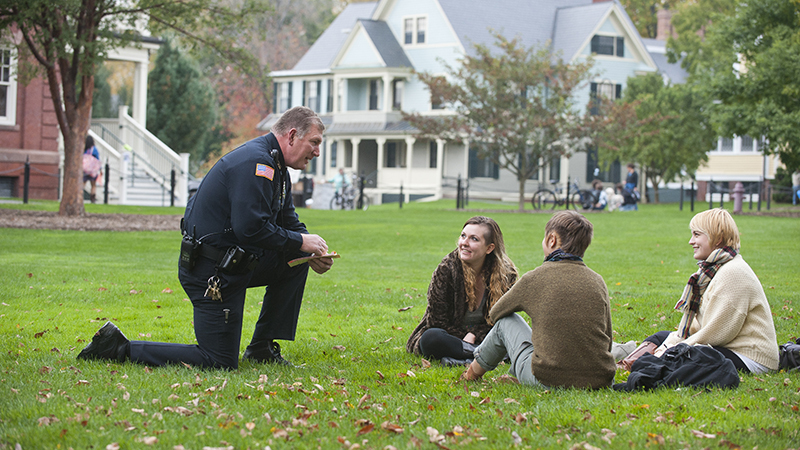 The Smith College Campus Police Department is committed to ensuring the safety and security of all members of the Smith College community, including visitors and guests. The department strives to foster a safe and welcoming campus environment in which each person feels included and valued as a member of our community. Read the latest announcements about the Campus Police Department and important legal changes that may affect our communities. Learn more about programs designed to engage community involvement, cooperation and communication. Please note that the office now accepts payments by credit card.